NEW YORK -- Former Retrophin CEO and founder Martin Shkreli, who is being investigated for securities fraud during his time with Retrophin, is now helming the new startup Turing Pharmaceuticals AG, the company announced Tuesday. New York-based Turing is launching with three products in its pipeline that were acquired from Retrophin, including an intranasal formulation of ketamine, a compound used to treat severe depression but which currently requires IV-infusion therapy. Turing is developing this medication for psychiatric use. Additionally, the company acquired Syntocinon (oxytocin nasal solution) and Vecamyl (mecamylamine HCl tablets). Vecamyl will provide Turing with its first FDA-approved product and revenue stream. The company also announced it had acquired two early-stage compounds to be developed for various orphan drug indications. Shkreli, who was terminated by his former company in October, is the founder of Turing. When announcing the company and the three drugs in its pipeline, he said the company will expand its offerings through acquisition as well as internal development of medications. “Our goal is to build a diverse portfolio and pipeline of therapies that can make a significant difference to patients,” Shkreli said in a press release. Other members of the Turing leadership team include Howard Dorfman, the senior vice president who was formerly with Ferring Pharmaceuticals and Bayer Pharmaceuticals; Hass Patel, vice president for Chemistry, Manufacturing and Controls, who was formerly with Pharmasset, Reliant Pharmaceuticals and GlaxoSmithKline ; Vice President of Regulatory Affairs Nicholas Pelliccione, formerly with Schering-Plough, Regado Biosciences, Inc. , Aeterna Zentaris and Chugai Pharma USA; and CFO Michael Harrison, formerly with Retrophin. While Turing is launching with three pharmaceuticals it acquired from Shkreli’s old company, a shadow still remains from his ouster in October of last year. Before he was removed from his position as CEO, Shkreli was replaced by Retrophin’s board over poor management skills and bad public relations from what was called unprofessional use of a social media account. Shkreli also sold about $4.5 million in company stock at an average price of $15 per share without informing shareholders, the company said. In January, Shkreli came under investigation by U.S. prosecutors for possible securities violations and from the U.S. Securities and Exchange Commission for the distribution of stock without letting shareholders know. An internal probe conducted by Retrophin and filed with the Securities and Exchange Commission on Feb. 19 alleged Shkreli used corporate funds to pay off personal legal debts and was hiding company legal matters from public disclosure. Additionally, the probe said Shkreli used corporate funds to resolve legal matters with MSMB Capital Management, a hedge fund he managed, as well as disguised legal settlements as consulting agreements with Retrophin, both of which cost the company million of dollars and a transfer of thousands of shares of stock. 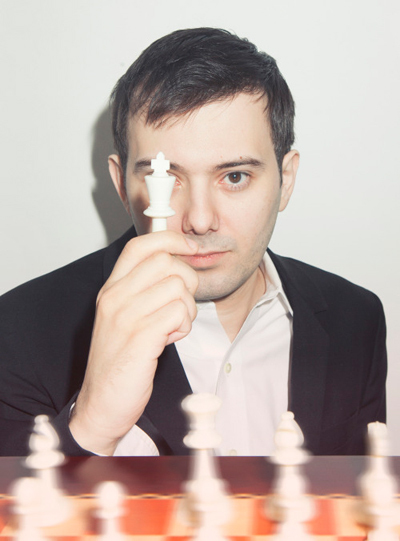 Shkreli has denied any wrongdoing while at the head of Retrophin. He said the accusations noted in the Retrophin internal investigation are “false, untrue at best and defamatory at worst,” he posted on the website Investorshub. “Every transaction I've ever made at Retrophin was done with outside counsel's blessing (I have the bills to prove it), board approval and made good corporate sense. I took Retrophin from an idea to a $500 million public company in 3 years—and I had a lot of help along the way," he said in his post.